The OWN FR01 is a new take on the humble flat shoe. It has a radical design, innovative new features and comes from a small brand based in the Alps ran by two Brits. 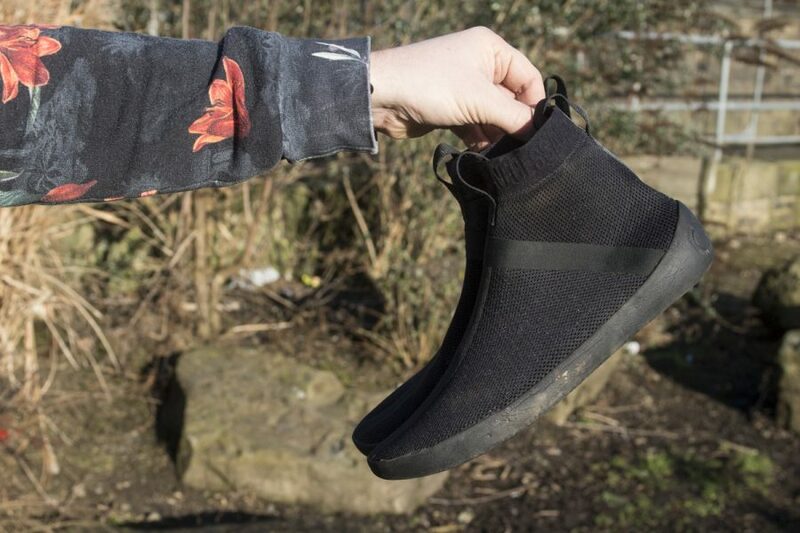 It’s all well and good me throwing around those buzz words to get you excited, but it takes design, effort and passion to really make an innovative product, and I think OWN have done that with the FR01 flat pedal shoes. 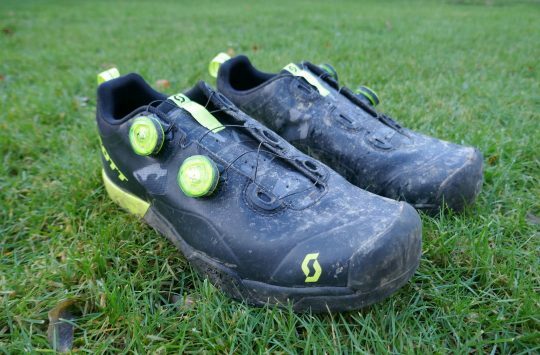 So, what exactly makes these dedicated mountain biking shoes so radically different to 5:10 shoes or for that matter any other riding shoe? Well just look at them for a start! 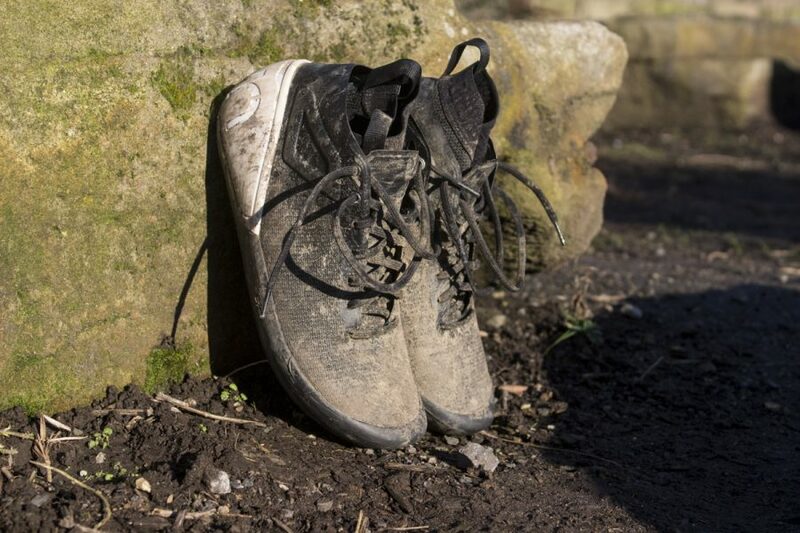 The FR01 looks like no other mountain bike shoe on the market today, the design is modern, clean and almost looks like something Nike would design as a one off ‘concept’ shoe. A radical, almost “concept”, design. 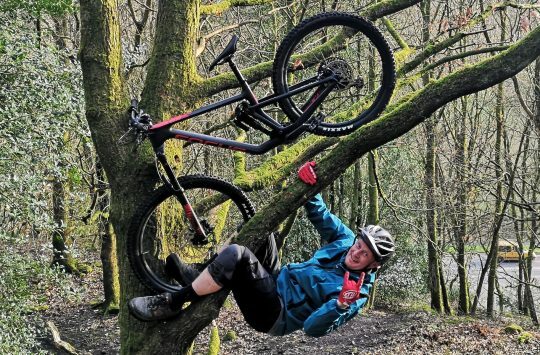 The modern design has been welcomed with enthusiasm by most of the Singletrack Team, but a few are not so keen the bright white heel support on an otherwise stealth black shoe, but really what do they know? Look past the tailored design and a wave of innovation escapes the OWN FR01. The fact that these shoes are so different from the norm has had me muddled at where to start while describing them to you, so to save argument I’m going with the sole of the shoe first. Custom Vibram sole designed specifically for the FR01. 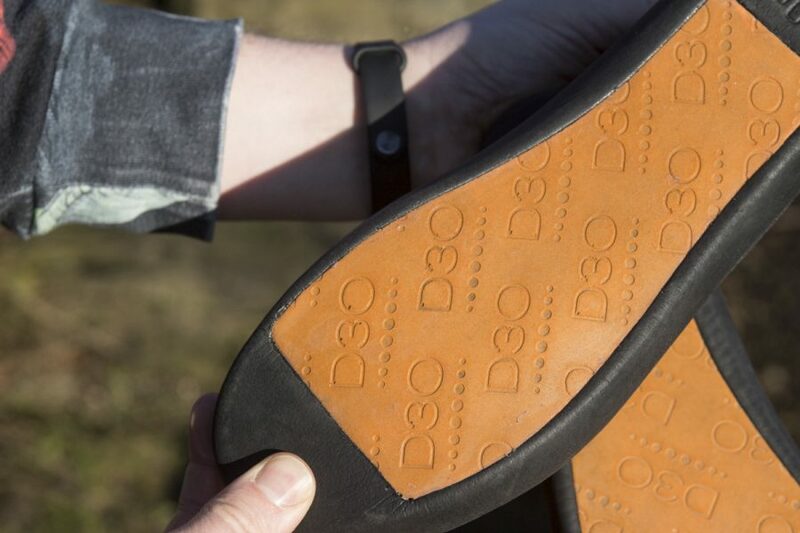 One of the main characteristics of a performance flat shoe is the amount of grip the rubber sole provides. Of course, the bar is set by the grippy Stealth compound found on 5:10 shoes, but too much grip can be just as troublesome as not enough! If you have ever tried adjusting your feet on a descent only to find you’re stuck in position you will know what I mean. OWN decided to go for a compound that isn’t quite as sticky and offer a balance of grip, security and adjustability, and I’m happy to report the Vibram sole on the FR01 works as intended. I never feel stuck in position, but then again I never feel I’m missing any grip either. 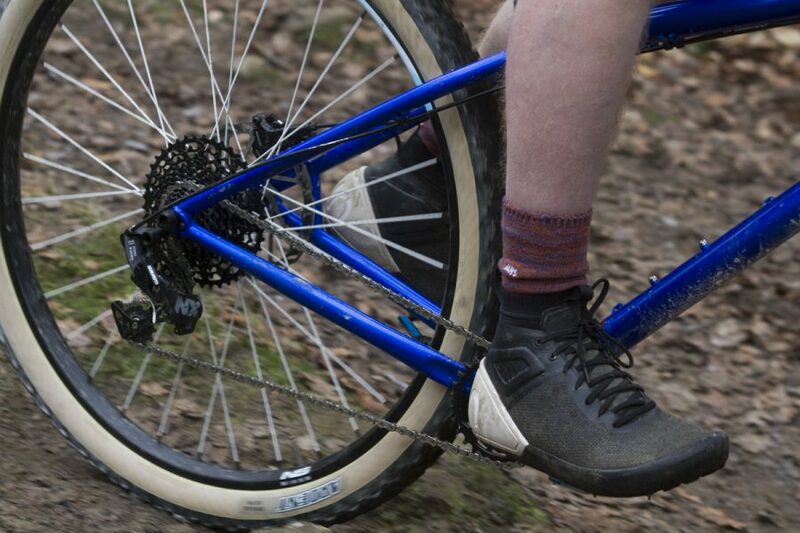 Aggressive tread on the heal and toe of the FR01 aids grip in sloppy conditions. 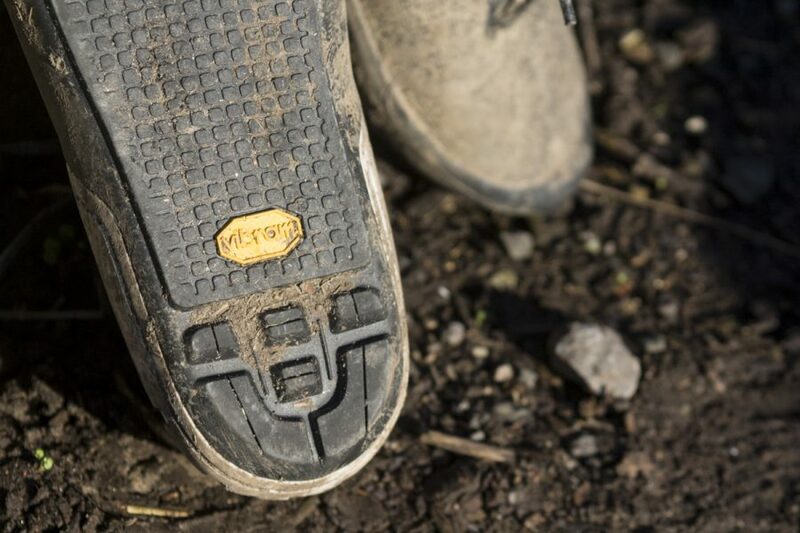 OWN worked closely with Vibram on the design and created a sole that features aggressive tread at the very ends of the foot for climbing muddy and rocky trails without interrupting a nice flat area in the centre for your pedals. Attached to the sole is the upper (obviously) which is manufactured from a Kevlar material that laughs in the face of rock and root impacts and so far still looks as good now as when I received the shoes. The thin Kevlar is not only hard wearing but fast drying and easy to clean too (a blast with a hose and scrub with a brush is enough to get them clean for the next ride). The kevlar upper ends at your ankle where the very upper is made of a snug fitting leather looking material. A quick brush and hose down and they look as good as new. So with the exterior fully described let’s move internally and have a look at the modular aspect of the OWN FR01. 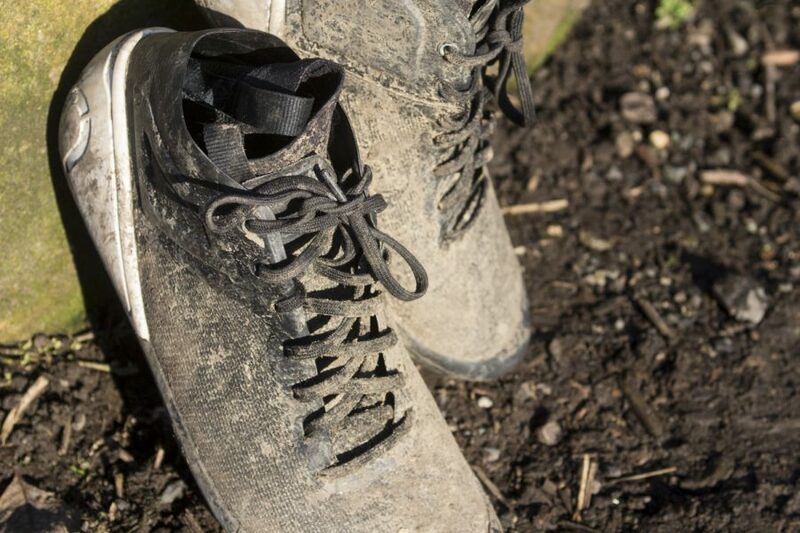 Each pair of FR01 shoes comes with 2 pairs of inners each with their own model number and own intended use. The LNR-BR-01 is designed for warm, dry conditions. For warmer weather, there is the LNR-BR-01 liner. This is made of a lighter material with a less snug fit to keep your foot cool and allow it to “breath”. If you’re going out in on a colder, wet day then you’ll want to use the thicker LNR-WR-01. The LNR-WR-01 liner is for cold, wet weather riding. This winter liner is designed to be warm and water-resistant but not fully waterproof. Both liners slide inside the shoe and each boasts a layer of impact absorbing D30 cushioning in the base. As these are removable liners cleaning is a simple process, again with a hose or bucket of hot soapy water is enough to keep them clean and fresh. Drying times are good too, much faster than a regular shoe. 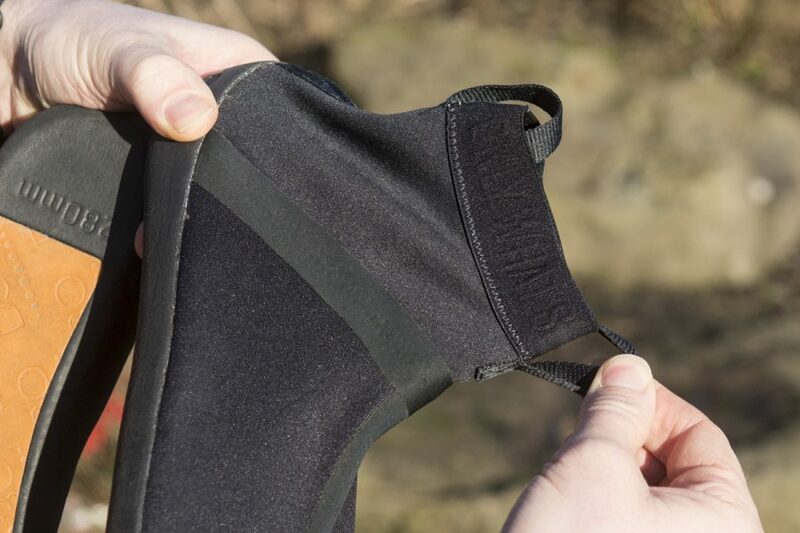 D30 padding comes as standard on both liners and helps to absorb shock. With OWN going for a tailored design to create a secure fit plus their decision to use Mondo sizing, the FR01 a very snug fit. With this I mean that you are going to have to undo a few laces and be prepared to give the shoes a good pull to get them on. Wearing them with the summer liner makes getting them on easier, the winter liner really needs a bit of a pull on the built-in liner loop. This is by no means a criticism though, but a testament to the quality fit and feel of the shoes. The OWN FR-01 offer a snug and secure, almost tailored, fit. To say they’re not a simple slip on/off shoe is an understatement, but the level of security they offer when on is well worth the effort. 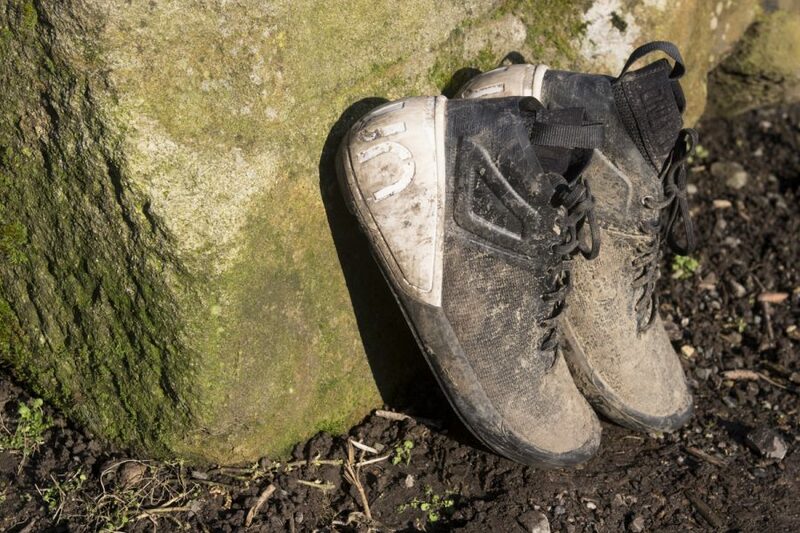 I can honestly say that the FR01’s fit has saved me from a twisted ankle in the Peaks over Christmas, not to mention the security they offer when smashing through rock gardens and hitting sketchy jumps or drops. The FR-01 are one of the most advanced flat pedal shoes on the market. So, what we have here is a superbly designed pair of shoes that are like nothing else on the market. 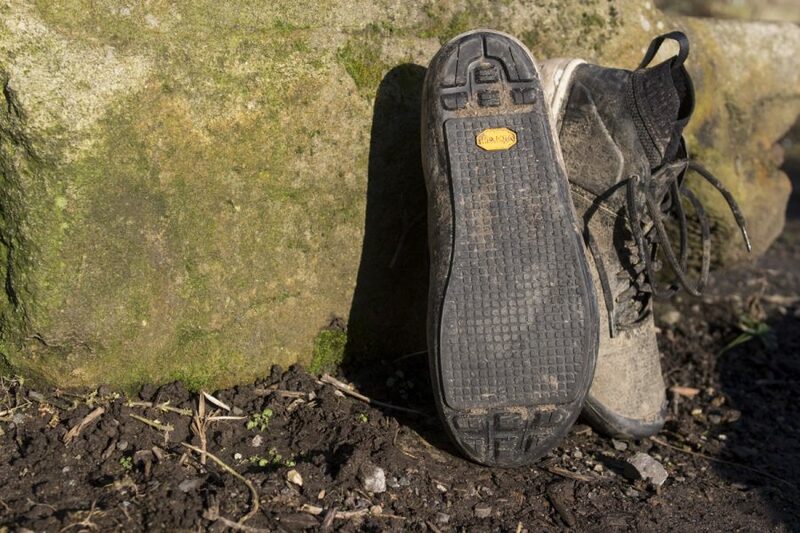 They are comfortable, offer stability, security and grip and they keep your feet warm! What’s not to like? Well, pricing is a little steep, with current EU pricing at 220 Euros, but I’m confident that they’ll easily out last a shoe costing half that so in the long run, they’ll work out to cost around the same. 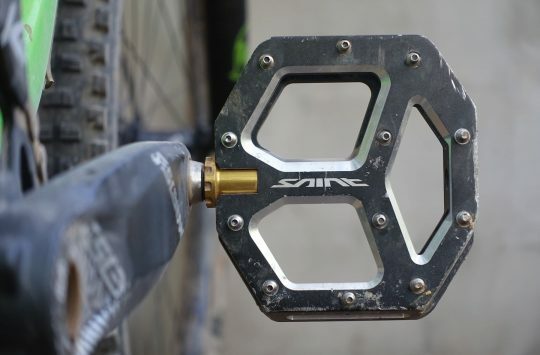 Overall: An amazing product, full of innovation and passion, but only flat pedal riders need apply! We need a decent flat pedal shoe that is an alternative to the silly high cost of 5:10.s…..
Quality, performance, price, pick one.! 2 shoes for the price of one. Or at least 1 & a 1/2. I could live with the trainer look, just not that heel cup. but like with 45 North boots, you get what you pay for. Just wish I had that much spare cash!